Ocean Potion | Life. Realized. I still harbor my childhood dream of becoming a mermaid when I grow up. I really could not be more obsessed with all things nautical. A lot of what I work for in life, especially the tough stuff, I do because I want a future that will allow me to wake up to the sound of the ocean every day. In the meantime, I visit water when I can. But mostly I lust after nuggets of nautical novelties and nicknacks. And write like a nerd. 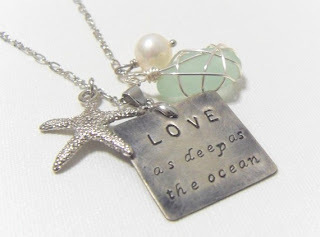 In that same spirit, I am compiling a list of lovely nautical finds from around the internet. I hope to do it often. Land, who? Those stools are amazing. So are the pillows. And the giant blue vase. I want it all. I just noticed the vintage Pyrex. Swoon. 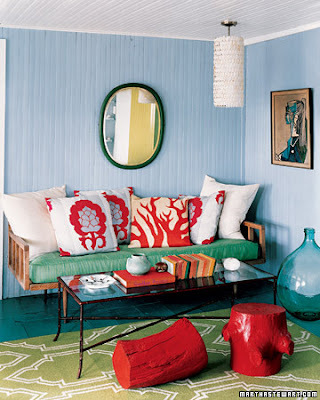 This was a home tour featured in a Martha Stewart publication. 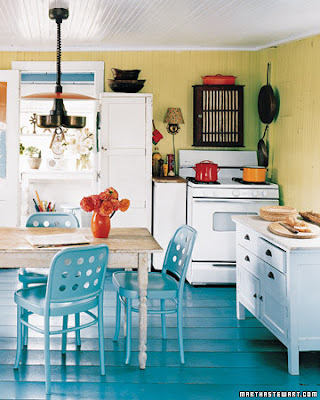 It is a quaint little cottage on Long Island beach that I instantly fell in love with. I think I even bookmarked the page so that I can look at the pictures often. I wonder if she'd let me move in with her. Perhaps I can barter for cupcakes. Yeah, this is my bed. On the beach. How insanely cool is this wreath? And the rope detail? This shop has some AMAZING nautical-themed decor. I cannot live another day without her Seashell Christmas Ornament. I want it all, actually. This dress is so cute. Even though it has horizontal stripes (hiss! ), I love it. It also comes in grey, which I love equally. Or more. I can't decide. Ahoy, Matey. My new must-have piece of jewelry. It is sweet, delicate, and couldn't be lovelier. My birthday is next month. Just in case anyone was wondering. 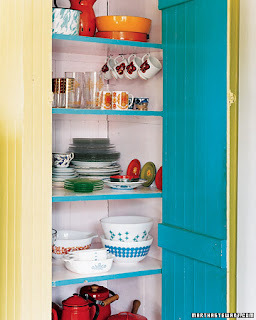 I love that kitchen! It's so uplifting! 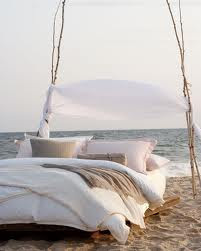 And the bed on the beach is kind of awesome :) Thanks for linking up with us for loving lately! 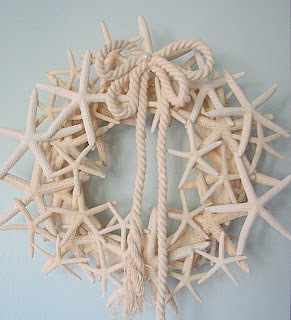 That starfish wreath is AMAZING. I wish it wouldn't seem weird on my front door in central NJ...haha. I swear I was destined to live near water...everything about it screams to me...the color, the sounds, the smells...Love this collection of spaces!